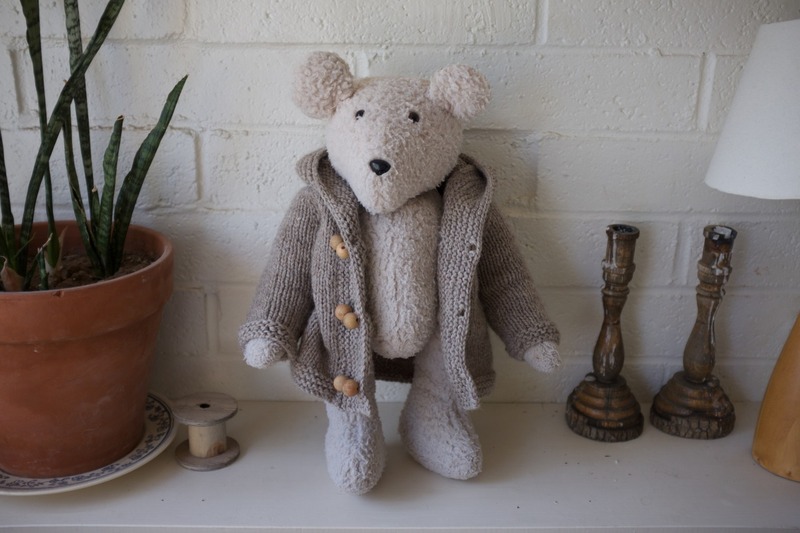 This little sweater was knitted for a real life baby, but the closest thing to a baby in my home is my childhood bear, so here you have a bear wearing a hand knitted coat. I had to put it on something. 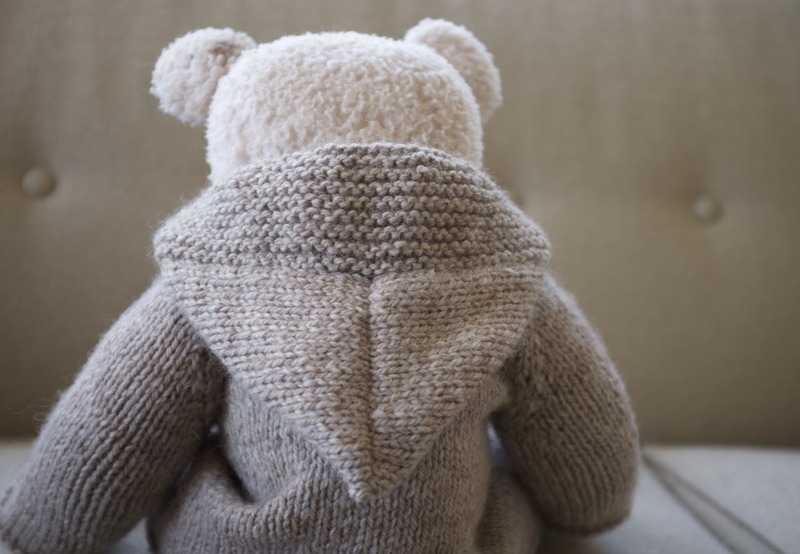 It’s so much cuter when you can see its three dimensions. 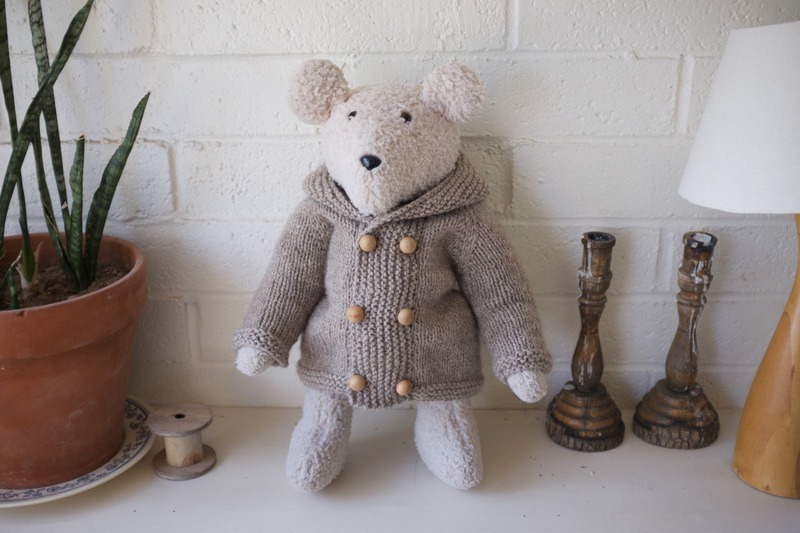 Stuffed animals wearing clothes makes me so happy–the more anthropomorphization the better, in my opinion. 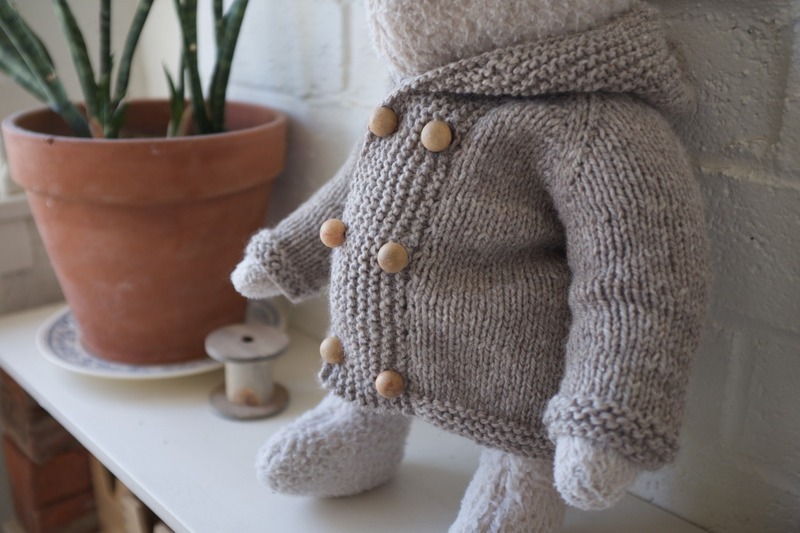 I used this pattern with this wool and found some vintage wooden buttons from this shop. 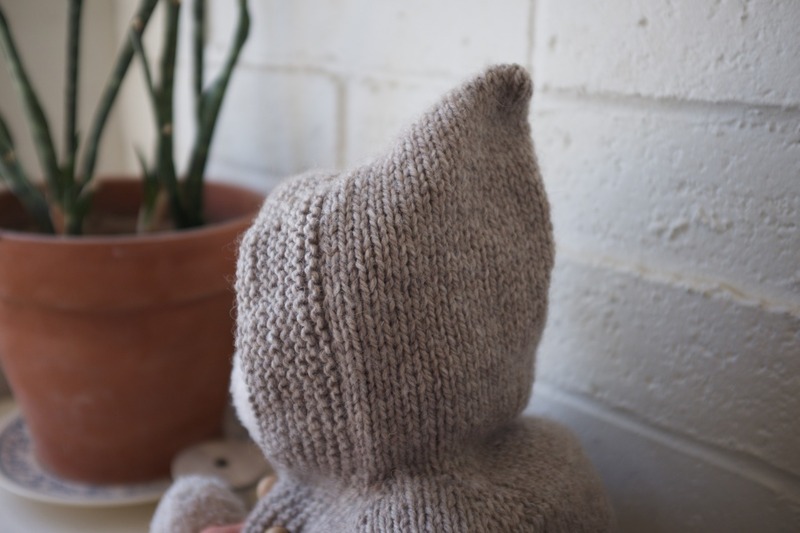 This was a good thing for a sweater novice to knit, I think, because it has some very important lessons in sweater construction (even better–cardigan construction. Button bands! 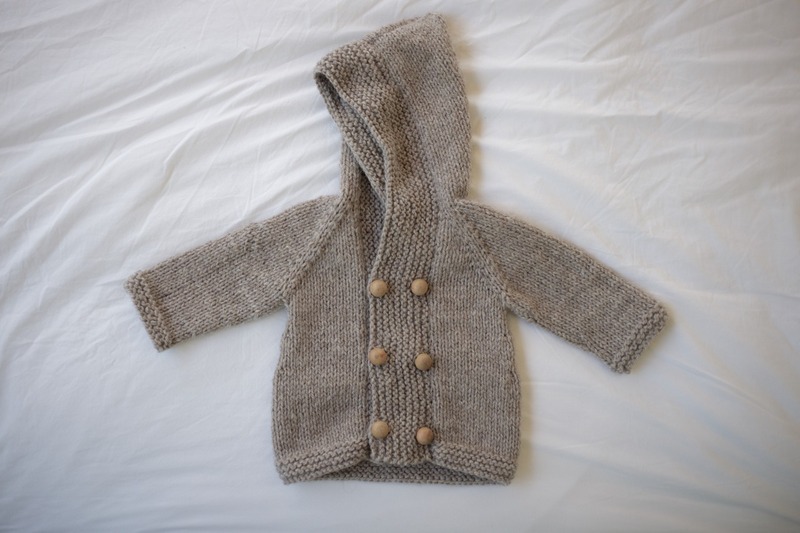 Button holes!) 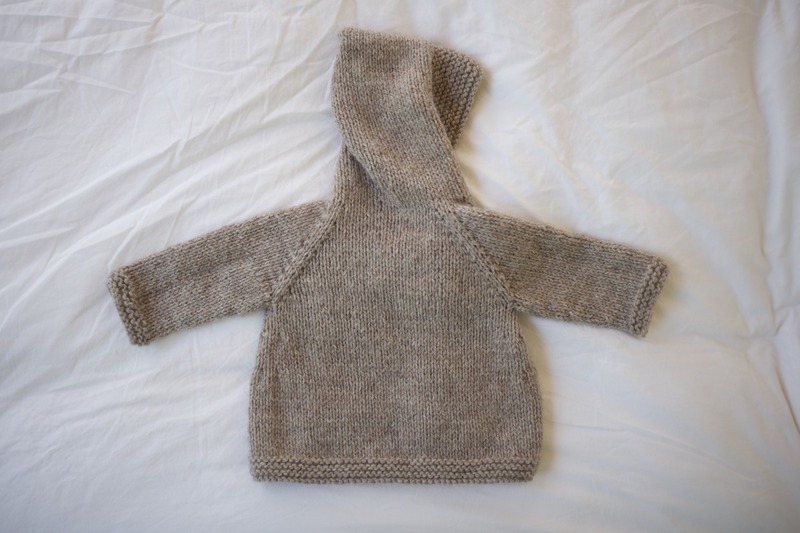 that I may have been more scared to attempt on an adult sized sweater. 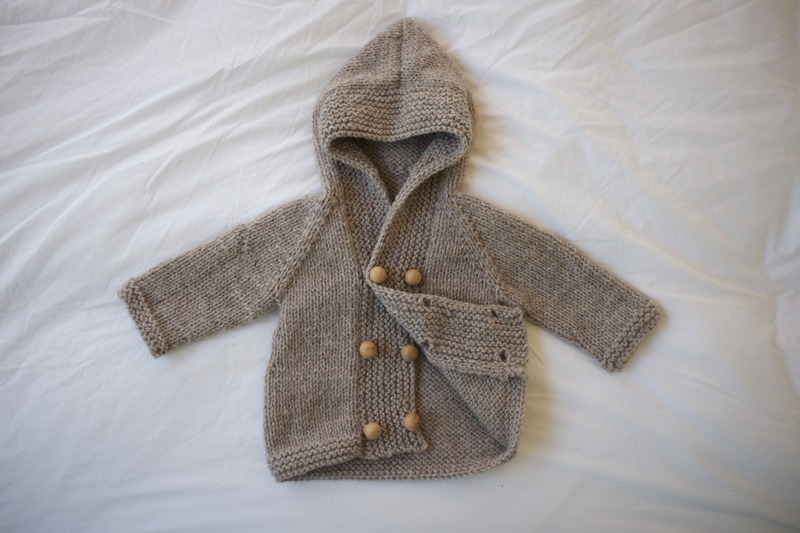 So baby sized versions of adult clothes are a good thing to make because smaller = cuter, easier, faster. And animal versions of human things are a good thing to make because DUH.